A culinary environment can be very difficult to work in. Keeping the proper ingredients and foods on hand for customers is difficult, especially if the goal is to keep them all as fresh as possible. Protecting the food while making it easy to retrieve at any time can be challenging for even the most well-established culinary facility. However, The Workplace Depot offers a product which can prove extremely valuable. Polypropylene solid kitchen shelving is an intuitive, easy to assemble solution that can make food storage, organization, and retrieval easier than ever. Whether the location is a small restaurant or a larger culinary facility, this product is a great choice. 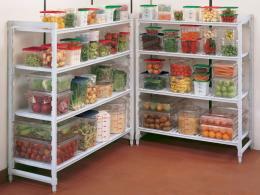 Polypropylene solid kitchen shelving allows for numerous food containers to be neatly stored. 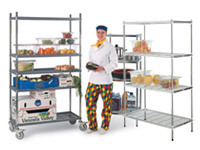 This helps promote an organized culinary worksite and allows for smoother operation of any kitchen. Clear containers can be used to seal food away, and these units can be neatly organized onto a shelving setup. With multiple options available in terms of shelving units, any location in the culinary industry can find the right fit. 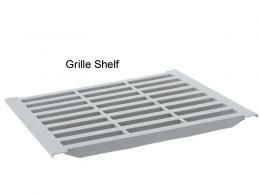 This product can be used at any location where culinary activity takes place. With the anti-static material used on these shelves, they’re safe for kitchens and other commercial sites where electronic equipment is present. The units are also safe to use in any freezer at industry standard temperatures. Everyone who works in the culinary industry knows that a messy kitchen or freezer can slow down productivity and make everyone’s job harder. These materials can help every team member enjoy a more seamless flow in the kitchen. 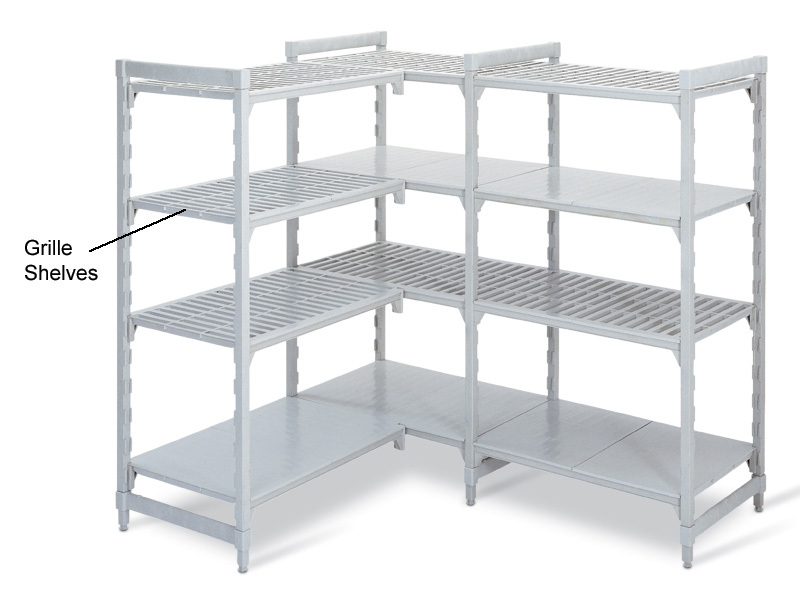 These four shelf bays come in starter, corner, and extension variants. A variety of dimensions are also available, and each unit can be easily assembled with few tools.